Affordable Removal of Your Old Sofas, Couches & Lounges. Some of the items that Same-Day Rubbish Removal regularly deal with are old worn out couches. We often see lounges that don’t look too old, yet are clearly broken or have worth thin in places. Like many products, there can be a huge variation in quality when it comes to couches and sofas. The saying ‘you get what you pay for’ is often true. According to eHow, most people purchase new lounges every 7-10 years, however, this is often just due to cosmetic wear and not structural damage. If you’re looking for a quality couch, many manufacturers offer 10+ year structure warranties, this is often a sign of good quality. If you’re not so lucky to have bought a quality sofa or lounge and now have to dispose of one, Same-Day Rubbish Removal offer the service you need. 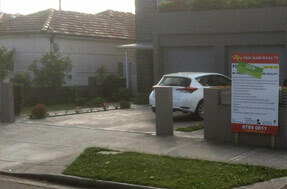 We specialise in removing large and bulky items from Sydney homes and businesses. Call us now on 0402 737 046 if you’ve got old/broken lounges or similar that need to be removed. Need to Know How to Get Rid of and Dispose of Your Old Lounge or Couch? Our Experienced Sydney Team Have the Solution! 1. Realise that your old couch or lounge has seen better days, and that it's time to move on. 2. 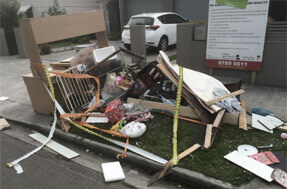 Call our experienced junk disposal team. We'll give you a free quote and arrange a time to collect your unwanted lounge or sofa. 3. Our friendly team will arrive and take away your unwanted furniture to 'lounge heaven'. We'll do all the heavy lifting, so you don't have to, and will have any unwanted items gone in no time. 4. Time to go shopping for a new lounge (if you haven't already). This is the fun part! Enhancing your home with a new piece of decor can make a real difference. Wouldn't you prefer to spend your time finding the perfect new furniture for your home, rather than hiring trailers, working up a sweat, and going to the rubbish dump? We think it's an easy decision. There are many great things about living in Sydney and Australia in general. Governments and local councils provide many convenient services that make living here quite easy. One of these important services is the curbside bin collection, which has different variations across Australia, but most people would find it hard to live without. It’s great for all the general garbage that households create from week to week, but isn’t ideal for disposing of large items. You probably haven’t tried, but you can imagine the difficulty of cutting up a couch or sofa into small pieces to fit in your bin. There are some people who may go to these lengths for a cheap way of disposing their furniture, but more than likely, your time is more valuable than that! Same-Day Rubbish Removal have spent years optimising their service so that it’s the perfect balance of affordable and easy. In most cases, we can remove your old lounges, couches, large furniture, etc. cheaper than what you could do yourself and we’re a lot faster. When we come to your property, all you have to do is tell us what needs to go. We’ll do all the heavy lifting for you – our friendly workers do this all day every day, so there’s nothing you need to worry about. No matter where you are in Sydney, our top quality service is ready to help you out. 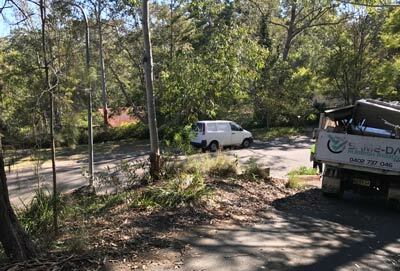 We have trucks and workers ready for any job from down South in the Sutherland Shire, out to the Western Suburbs, up to the Northern Beaches, and everything in between. 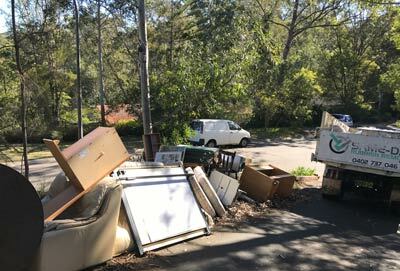 Whether you’re a business in the CBD or a home in the Eastern Suburbs, there’s no junk removal job that is too hard for us. We’ve come across almost every type of waste removal job possible over our many years in the job, we always make sure we dispose of items in the most responsible way we can. If your couch or sofa can be recycled, we will try to make sure it happens. 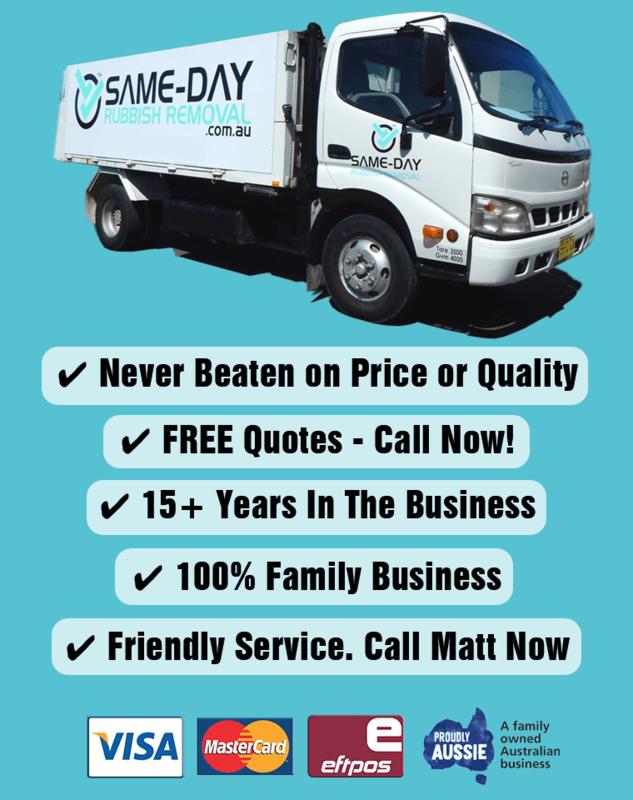 When you’re ready to take the next step and dispose of that broken, worn out lounge, call Same-Day Rubbish Removal on 0402 737 046. There’s no reason to wait – call us now, you won’t regret it!